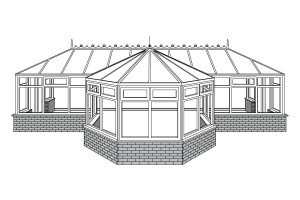 High quality conservatories come in a number of classically beautiful designs that can be tailored to your exact needs. They will be designed around your home and garden's layout to make sure you get the most benefit. 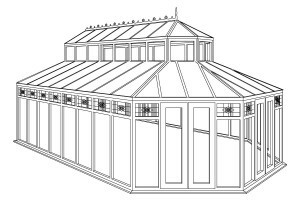 Traditional homes may suit Edwardian conservatories or Victorian conservatory styles, but our installers can also design bespoke creations to ensure you get your dream conservatory - to enjoy for years to come. 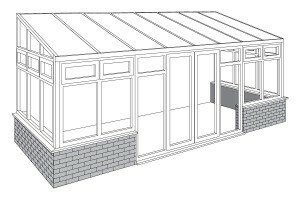 This design comes with a ridged roof and a three or five faceted end wall creating a half rounded feature. This unusual aspect makes the external design of Victorian style conservatories attractive but can slightly restrict the layout of furniture internally. 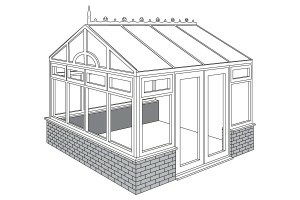 The Classic rectangular design of Georgian style conservatories allows the optimum use of space. A ridged roof system ensures symmetry of design. 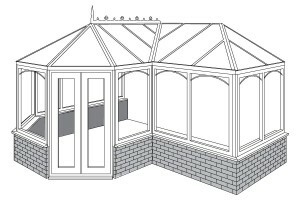 If you have very specific ideas of how you want your conservatory to look, just talk to a member of our expert team. 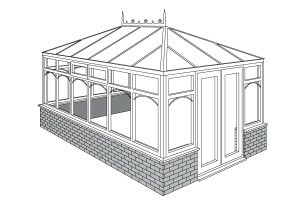 They will be able to design a bespoke conservatory to your own individual requirements to ensure you get the very best. 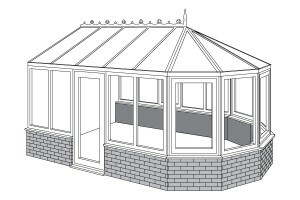 Lantern top roofs offer an elegant, classic look for larger conservatories. The roof consists of two tiers with the different levels separated by a row of small windows. This style gives a conservatory real 'presence' and adds to the feeling of spaciousness.